Discover our marvels on the Mississippi River! We will keep you entertained with fun attractions, festivals, casinos, river cruises, shopping, dining and historic sites, and more. In the Quad Cities, the energy, culture, and history provides a cool variety of things to see and do. Visit the John Deere Pavilion and John Deere sites to learn about this iconic brand and its beginnings, and kids will enjoy exploring the tractors. 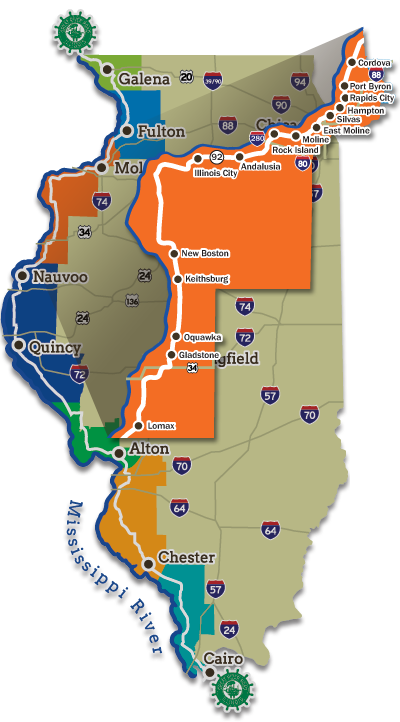 The Quad Cities is comprised of the four major cities of Davenport and Bettendorf in Iowa & Rock Island and Moline/East Moline in Illinois.